These features are available in all editions of Tape Label Studio. 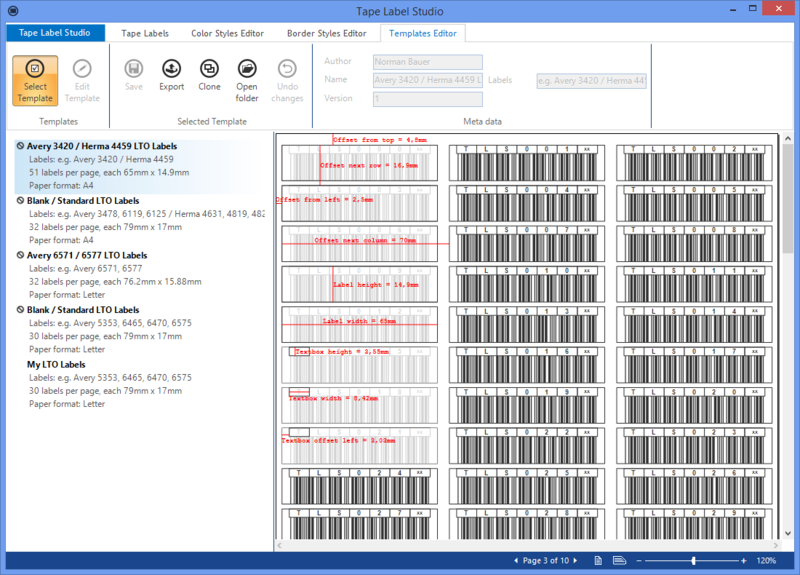 Tape Label Studio prints standard tape labels using Code-39 barcodes – with or without checksum. 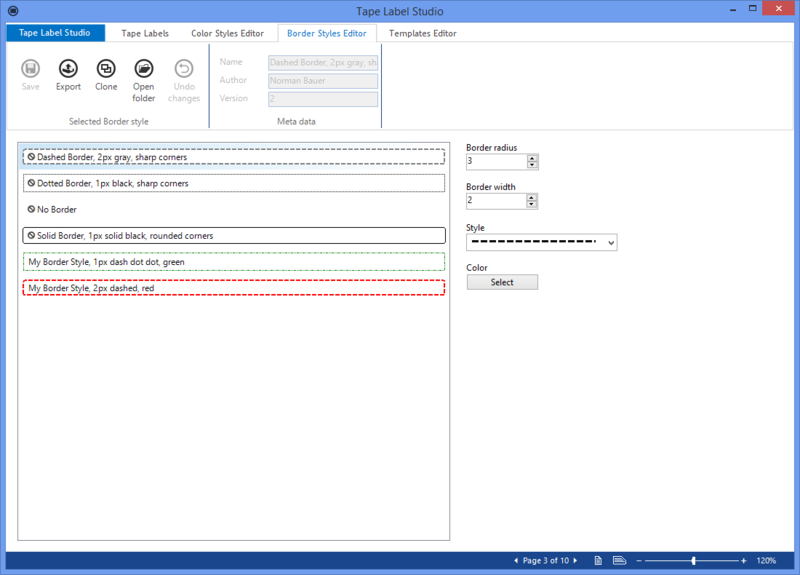 Import any text in Advanced Mode – Tape Label Studio will analyze it and any labels found will be added to your list. Export labels to PDF. If you can’t print them now, print them later – anywhere. Print the current job’s info (offsets, number of labels, etc.) on a label and never lose a setting again. In case you did not use all your labels in your last job you can change the starting position (e.g. to 3rd label in the 2nd row) for you current job. Tape Label Studio prints your labels directly to any printer available in your Windows installation – with adjustable offsets. Many predefined media types are supported out of the box but feel free to use your own. 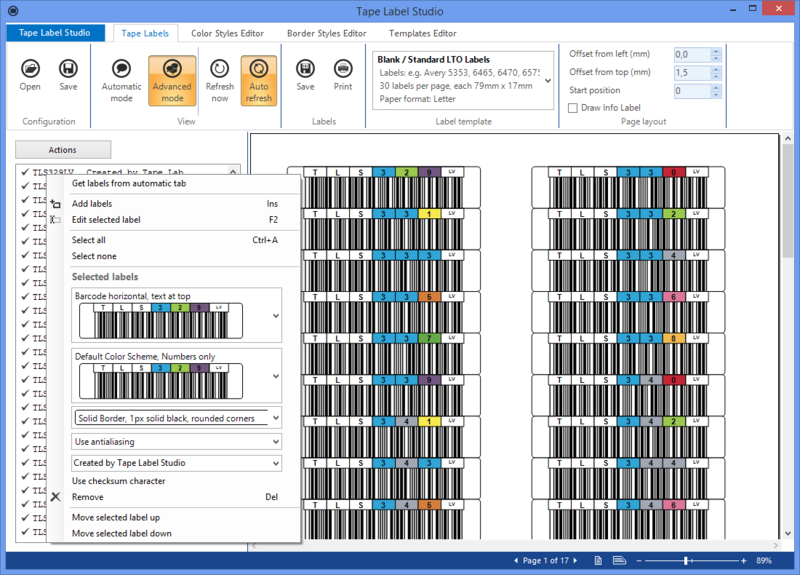 Choose from different alignment types like barcode only, text at top, text at bottom, etc. with or without custom text support. Some alignment types support custom text on your labels: provide owner or storage information or whatever text you like. Choose between automatic and advanced modes in Standard, Professional and Enterprise Editions. While Automatic Mode is fine for most usecases, Advanced Mode takes you to a new level in label customization. With Advanced Mode you’ll be able to configure any property on any label. These features are available in the Professional and Enterprise Editions only. Create color styles for your labels. 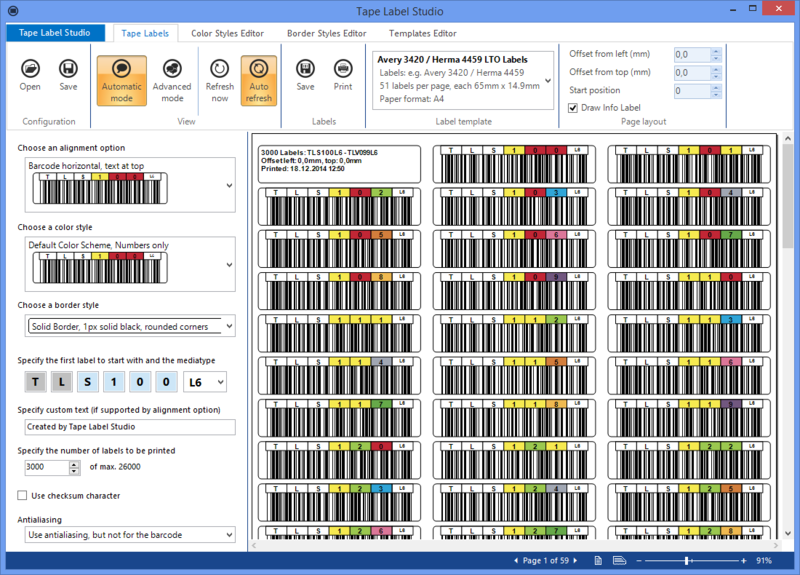 Modify every single color used in a label – including background, barcode, border, text and character colors. Customize border styles to fit the labels you are using. Choose from solid, dashed or dotted borders. Adjust width and redius easily. 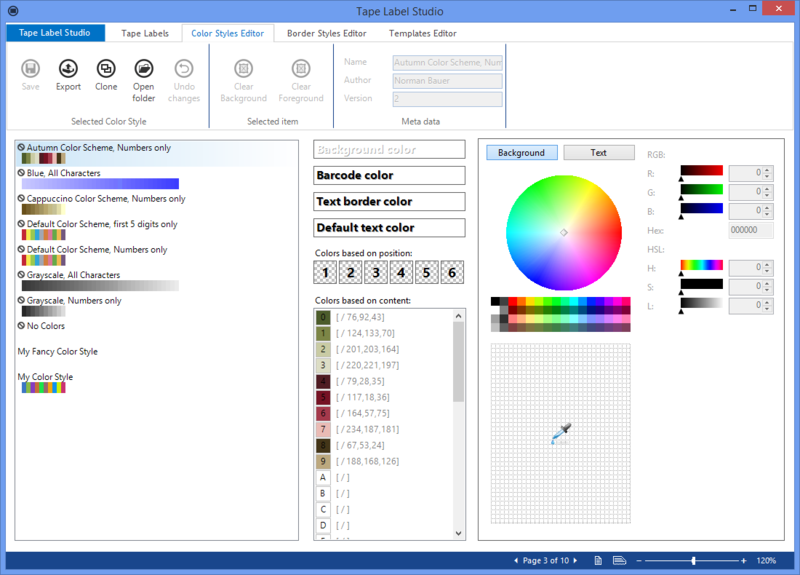 Tape Label Studio offers fully customizable label templates that let you change every aspect like paper format, number of labels, offsets, dimensions, fonts and many more.